A tornado was spotted near Folsom Lake in El Dorado County Thursday afternoon, the National Weather Service confirmed. NWS first received reports of the tornado about 3 p.m. No injuries were reported. A tornado warning issued for southwest El Dorado County and northwest Amador County expired at 4:30 p.m.
KCRA reports the storm that produced the tornado was moving east at about 20 mph, in the area of El Dorado Hills, Cameron Park, Rescue and Shingle Springs, but it isn’t clear where the tornado touched down. The National Weather Service tweeted another possible tornado touched down in the Modesto and Ceres area. 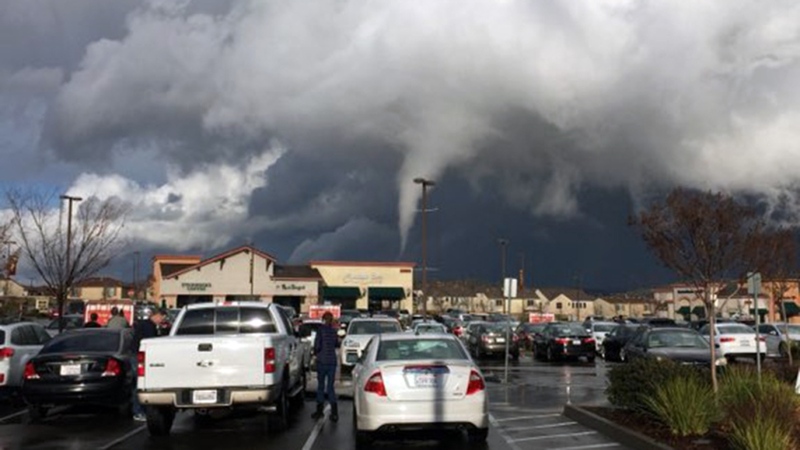 The El Dorado County tornado and Modesto-area storm are separate events, NWS said. Damage from the El Dorado County tornado was reported along Sandpiper Way in Cameron Park. A resident said there was roof damage, trees down and fences down. In Modesto, no injuries were reported in connection to the high winds, according to KCRA. A National Weather Service storm survey team planned to visit Modesto on Christmas to check out the damage.